Full disclosure here: when I do these "blind" tastings, I have a couple of pieces of the chocolate set out for me, face down so I won't see the imprint on the face of the chocolate. This part is important so that I don't get any clues about whose chocolate it is, my aim being to maintain neutrality while tasting. Well, while examining this bar for its tempering and color, I accidentally flipped it over and caught sight of that iconic Amano logo, and there, friends, is where my neutrality ended. Oh, I tried. I tried to taste it impartially, and maybe I succeeded--there are scores upon scores of other reviewers the world over who would agree with my assessment of this bar. But I do feel that it's important to disclose that I didn't go into this tasting with my eyes closed, so the the chances of this being somewhat of a "tainted" opinion are perhaps rather high. That said, this is some amazing chocolate. It has won multiple awards all over the globe, and it is arguably among the very finest chocolate in the entire world. It embodies everything we dream of in chocolate; it is a champion among champions, with a complexity and depth that unfolds itself a little differently every time it is tasted. For me, there was the experience of initial tartness, strong vanilla, notes of creamy cheesecake and a hint of rose, developing deeper notes towards the middle, of red cherries, then dried dark red fruit, and that lovely pipe tobacco flavor I love so very much. As it came to full melt and began to dissipate in my mouth, the final flavors settled into a cocoa-intense, vanilla-laced nuttiness which lingered and lingered. About Chuao chocolate: Chuao is a tiny village off the northern coast of Venezuela that has been famous for its genetically pure chocolate since the 1600s. Accessing this tiny village is a difficult undertaking, but the world's best chocolate makers know that seeking it out is well worth the effort. In 2000, Chuao was awarded its own cacao appellation, designating it as an origin of renown in the world of fine chocolate. Chuao chocolate is known for its complexity, quality, depth, and its challenging constitution, making it an irresistible medium for chocolate alchemists like Art Pollard of Amano. 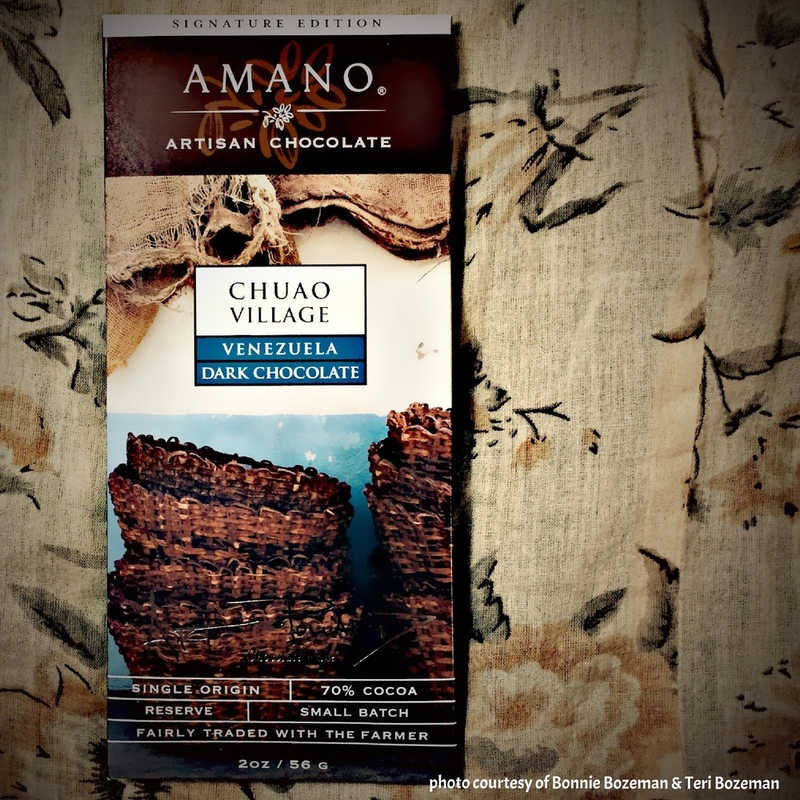 Within the craft chocolate world, certain names have a gravitas about them; Art Pollard and Amano are two such names. Attend any chocolate show where Art is showcasing his work, and you'll find hordes of people lined up to sample, to ask questions, and sometimes, just to admire. Art has been at the chocolate game longer than most in the American craft chocolate scene, and he's more than earned the respect given him by the industry and its acolytes. He produces arguably the best, finest, most nuanced chocolate in the entire world. He must know this. And yet, at those chocolate shows where Art attends, you'll also find a really nice guy, up to his elbows in the vigorous work of prepping chocolate drinks or explaining his work to noobs and critics alike, always with a broad, congenial smile and an approachability that you might not expect to find in a man of such outstanding repute. Amano embodies everything bright and beautiful about craft chocolate in America (or indeed, the world): relentless dedication to excellence, fair trade, and beauty, coupled with an easy, affable manner that invites anyone to come and experience something divine.